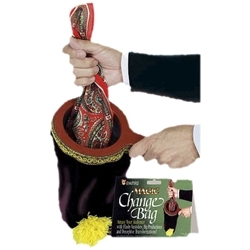 This is a black velvet change bag with a wooden handle. A great utility device for extra fun with your color changes and rope restorations. Operates easily with just one hand.